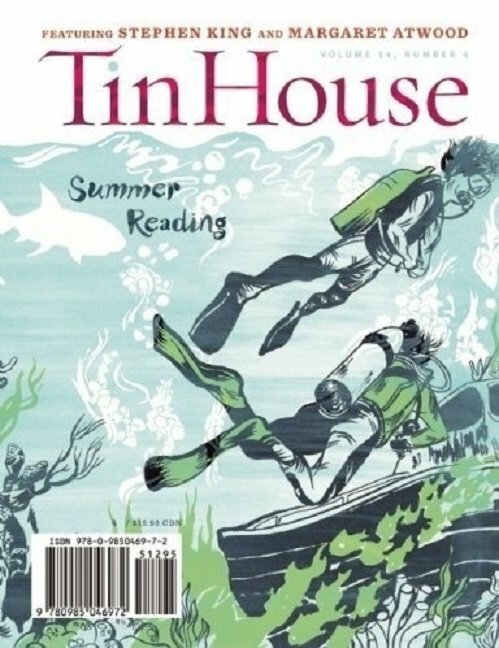 TIN HOUSE 2013 SUMMER READING ISSUE. 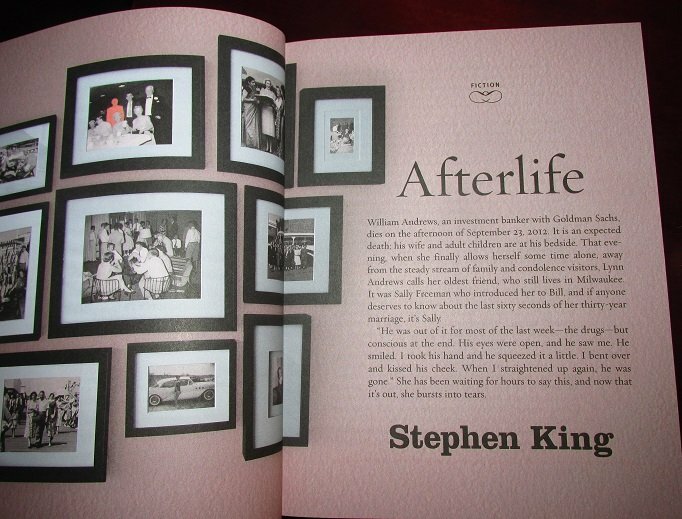 Featuring: AFTER LIFE by Stephen King. OVERVIEW: This issue features THE FIRST APPEARANCE of Stephen King's AFTER LIFE short fiction. Tin House is a beautifully designed periodical featuring some of the best writers of our time alongside a new generation of talent who are poised to become the most important voices of the future. Content includes short stories, profiles, author interviews, poetry, essays, and unique departments such as "Lost & Found," in which writers review overlooked or underrated books, and "Blithe Spirits" and "Readable Feast," which present tales and recipes for drinks and food in a literary way. Tin House is one of the most popular literary magazines in the country, and this new lineup of writers will keep readers cool all summer long. 2013 trade paperback. Sealed upon receipt here. 9780985046972.